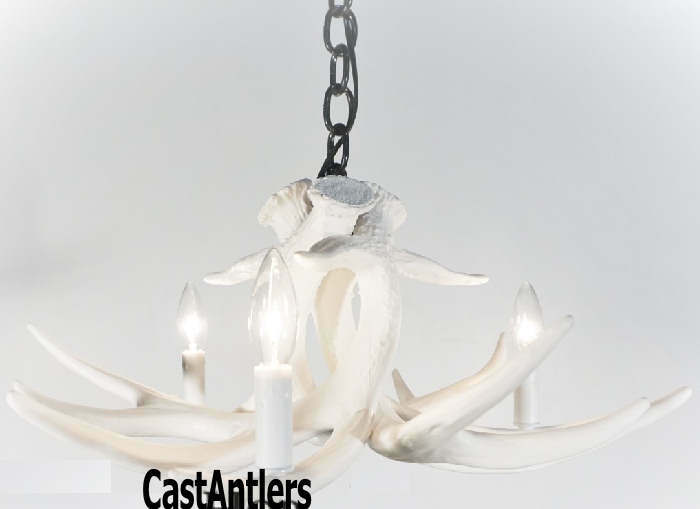 Pure White - This small faux antler chandelier/pendant measures 21" wide and 11" tall, weighs just 4 lbs. Chandelier has 3 candle lights. All wiring is internal. Entire fixture UL listed/approved. Each antler is a professionally handcrafted reproduction. Made from medium-density polyethylene that is light weight but as durable as the real thing. They require three candle bulbs (Approved for 40-watt candle bulbs). Chandeliers come standard with 3' of chain, multiple colors available. Ceiling plate and mounting hardware included.